MKE WAVE DEFEATS ST. LOUIS AMBUSH IN OVERTIME FRIDAY NIGHT; READY TO TAKE ON ORLANDO SEA WOLVES SUNDAY AFTERNOON AT UW-MILWAUKEE PANTHER ARENA. The Six-Time Champion Milwaukee Wave made it exciting Friday night at The Family Arena in St. Louis with a come from behind overtime victory. Final score in overtime: Milwaukee Wave 8, St. Louis Ambush 7. Ian Bennett had a hat trick on the night along with an assist. 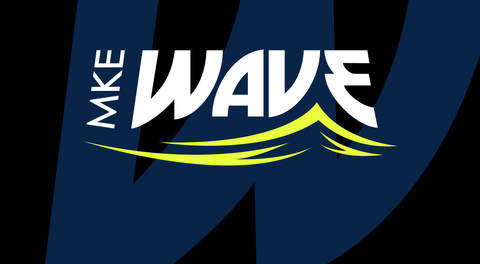 Other Milwaukee Wave goals came from Ricardinho Sobreira, Andre Hayne, Chad Vandegriffe, Robert Renaud and Alex Bradley scored the overtime game winning goal. The Wave take on the Orlando SeaWolves at 1:05pm this Sunday in our Rumble in the Jungle themed game! The first 1,500 kids will receive a a Wave plush Lion (for kids 14 & under only). Doors open at 12:05pm. Buy tickets online or at the door.